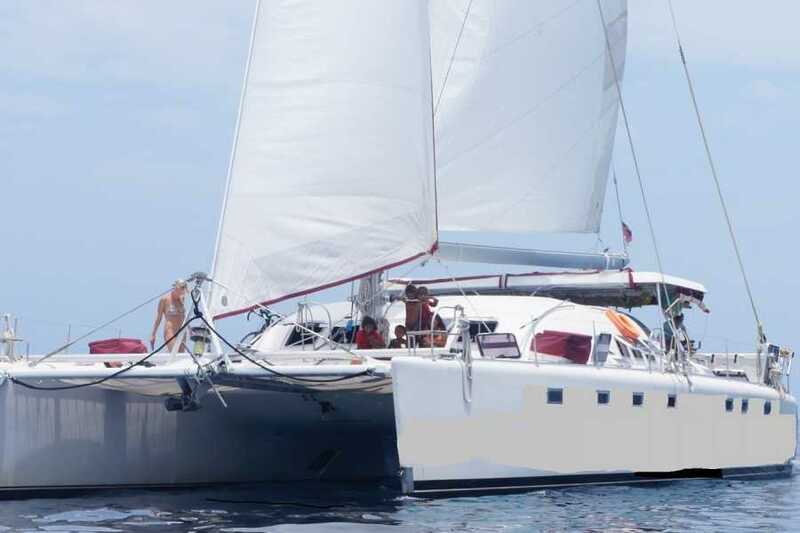 16,5m x 8,2m (56’ x 27’) , sleeps up to 18 guests plus crew. 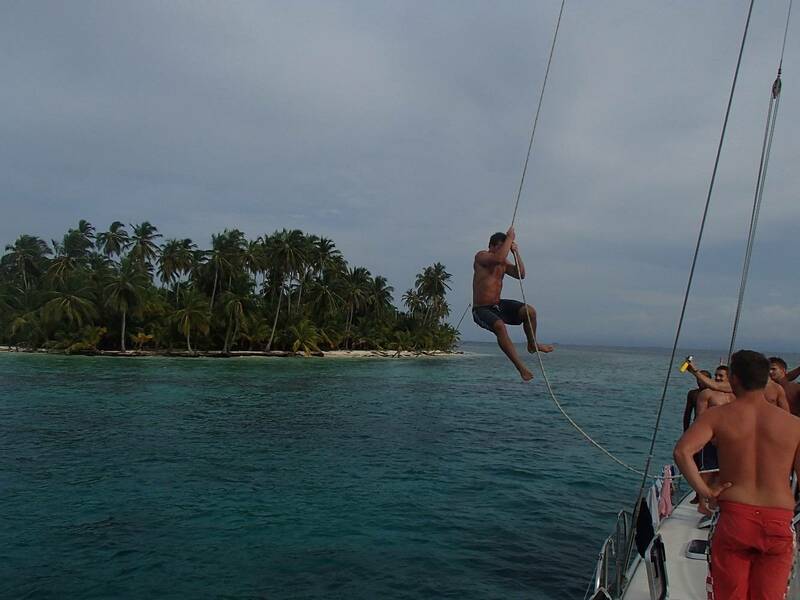 Sailing through the San Blas archipelago the entire time. No open ocean crossing. $400 per guest for the remaining balance of the boat trip in a shared cabin. Paid to the captain. $20 Guna territory entrance fee. Paid to the boat captain. The boat departs from the public dock in Portobelo, Panama. Guests must arrange and pay for transport. The most common thing to do is take a taxi to the Albrook bus terminal and a bus from there. The boat arrives in Sapzurro, Colombia. There are no roads into this area. See below for onward travel to Cartagena instructions and costs. All times and prices are approximate. All amounts may change due to providers’ policy and money exchange rates. To get to Cartagena it takes one day, leaving in the morning and arriving in the evening. The journey consists of one boat ride and two bus/van rides. After the trip ends in Sapzurro, you will need to take a local motor boat to Capurgana and spend at least one night in Capurgana in order to catch the morning boat to Necocli. Sapzurro to Capurganá - local motor boat (12.000 COP per person). In Capurgana you need to stamp into Colombia at the immigration office. This is free and easy, no need for onward ticket. You will only need 1 copy of your passport and your yellow fever card. We recommend getting the yellow fever vaccine before getting to Panama Republic. Canadian nationals need to pay a 160.000 pesos entrance fee to Colombia. Capurgana to Necocli - Around 1.5 hours. Leaves once a day at 11:00 a.m. Cost is 70,000 COP. You must book your ticket for the boat to Necocli and have your Colombia immigration stamp the day before you leave. In preparation for Necocli ferry make sure all your bags are protected by bin liners (plastic bags). These can be bought at the shop by the dock. Have sun block ready. Hint, the most comfortable place to sit is at the back of the boat. Please get cash and purchase supplies you need for the trip in Panama City. There are no ATM's in Portobelo. San Blas Catamaran is an independent boat which we represent as a guest service agent, because they are busy sailing and taking care of guests. Since we do not own and operate the boats we do not control the schedule, and cannot be held responsible for delays cancellations by the boat, or actions of the crews aboard the boats. However, in the event of a delay or cancellation we will provide guests with other available options, or refund their deposit payment. 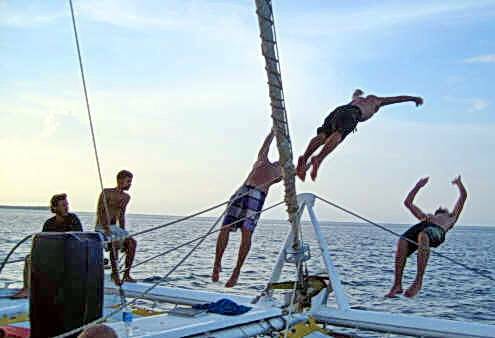 And if a guest registers a fair complaint or suggestion with us we will communicate with the boat and advocate for the guest in an effort to reach an amicable resolution. o Vegan or Vegetarian diet as well if we have advanced notice of these dietary restrictions.